Metamorphism is the change that takes place within a body of rock as a result of it being subjected to conditions that are different from those in which it formed. In most cases, but not all, this involves the rock being deeply buried beneath other rocks, where it is subjected to higher temperatures and pressures than those under which it formed. 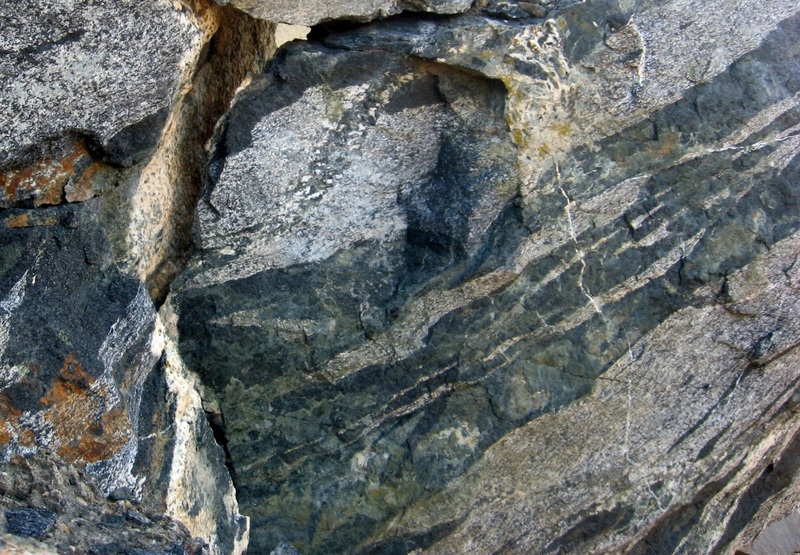 Metamorphic rocks typically have different mineral assemblages and different textures from their parent rocks (Figure 7.1) but they may have the same overall composition. 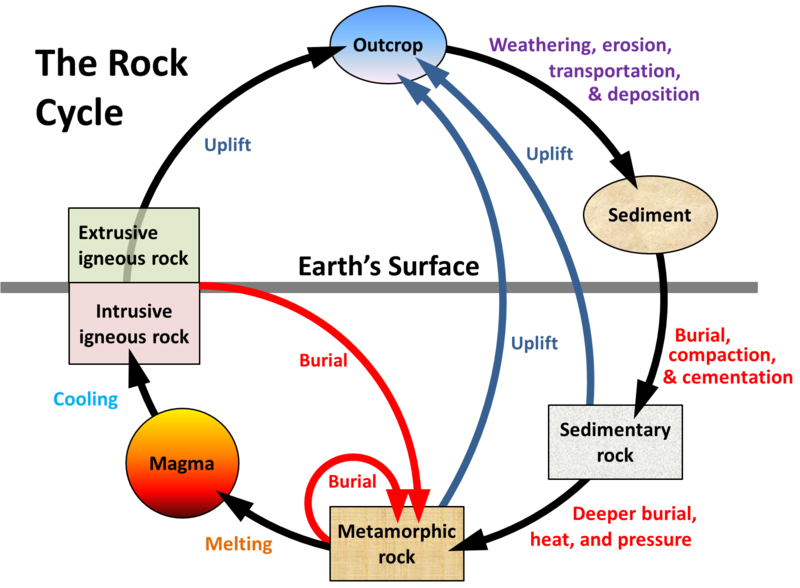 Most metamorphism results from the burial of igneous, sedimentary, or pre-existing metamorphic to the point where they experience different pressures and temperatures than those at which they formed (Figure 7.2). Metamorphism can also take place if cold rock near the surface is intruded and heated by a hot igneous body. Although most metamorphism involves temperatures above 150°C, some metamorphism takes place at temperatures lower than those at which the parent rock formed. Chapter 7 Metamorphism and Metamorphic Rocks by Steven Earle is licensed under a Creative Commons Attribution 4.0 International License, except where otherwise noted.